I can feel the excitement in you. The fact that you’re hunting for a great internal frame backpack tells me that your long deserved holiday is just around the corner. 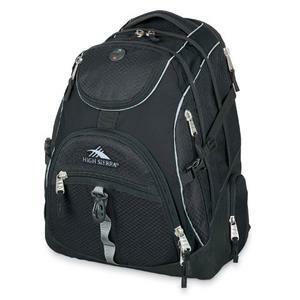 To most people, High Sierra is best known for producing some of the best college backpacks. While it is not a pure travel backpack specialist like Teton, I don’t think it is wise to rule them out before going through their backpack reviews. 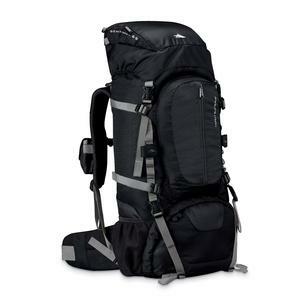 Priced within similar range as Teton Scout 3400 is High Sierra Sentinel 65 internal frame backpack. What can be expected of it? Let’s zoom in and find out. For those looking for a great backpack review, the High Sierra Sentinel 65 is a good choice. 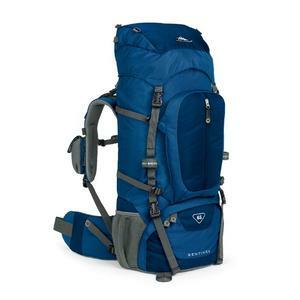 A durable, sturdy pack that allows the user to carry the necessary weight without adding more weight itself, the Sentinel 65 provides 65 liters of storage space at just 4.8 pounds on its own. Another beneficial feature for serious backpackers is the rain cover ¿ water resistant (thought not waterproof), this rain cover helps to keep the pack and its contents high and dry in the event of a storm. For someone who hikes in rainy regions, like the famous Appalachian Trail, this is a major boon. A hydration port on the side of the pack allows you to carry water in the backpack itself and drink directly from it, just as if it were one of the famed Camelpaks. This reduces the amount you have to carry with you, although if you’re in direct sunlight all day, the water will be warm. Still, the added benefits of having an extra water storage area cannot be understated. The Sentinel 65 loads from the top of the pack with a gusseted drawstring, with an added sleeping back compartment on the front. This makes accessing your sleeping bag when its time to make camp easy, without the need to withdraw every item you have stored before finding it. However, because it loads from the top, it’s usually best to place the least-needed items on the bottom. Anything you need often, or potentially quickly, place in the top of the pack for easy access. Mesh side pockets store two 1000 millimeter water bottles, allowing you to carry plenty of fluids if needed. A webbed daisy chain allows for added attachments to the pack, so you can customize it as the need arises. 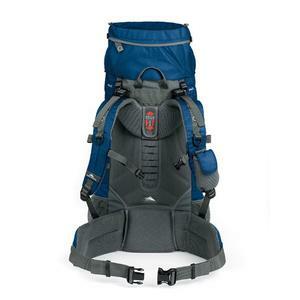 The Sentinel 65 offers plenty of support, reducing the strain placed on the backpacker. Two aluminum frame bars can be adjusted to fit comfortably on the back, reducing unwanted pressure. The shoulder harnesses are designed to fit snugly but not chafe, and their mesh design allows for plenty of airflow to keep sweating to a minimum. The same applies to the molded foam panel that fits against the backpacker’s back; the patented Airflow channels allow for constant circulation of air to keep both the pack and the backpacker dry. A waist belt helps to secure the pack snugly against the body, and an adjustable sternum strap keeps it from placing any strain on the spine. 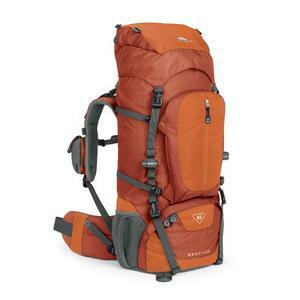 When backpacking with a fully-loaded pack, many people find themselves getting injured because of improperly adjusted straps or other reasons; the Sentinel 65 guards against this with all of the frame suspension built into it. So far as packs go, this is one of the best internal frame backpacks for safety. At 32 inches tall, 14.25 across, and 8.75 inches deep, the pack is quite sizable, with a full capacity of 3970 cubic inches. 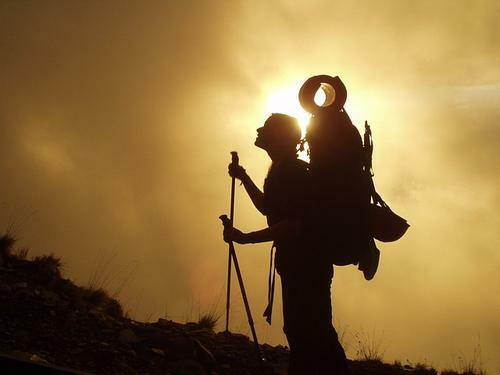 It makes it a fantastic choice no matter what kind of journey you’re on, whether it’s a normal camping trip or a long-term hike through the wilderness. There is plenty of room to store cooking supplies, and with the external daisy chains, you can easily add more gear if you need to. The High Sierra Sport Company has been producing quality backpacks for more than 25 years, aimed at people who make extreme look like playing in a sandbox. These packs are designed to deliver comfort while still holding up to the best nature can throw at them. In fact, the High Sierra Sport Company supplies the US Ski and Snowboarding teams with their gear ¿ the Sentinel 65 can definitely stand up to any abnormal hiking conditions someone might encounter. And because it molds so well to the shape of your back, the Sentinel 65 becomes ‘yours’ ¿ it bears your shape after using it for a while, making it fit you perfectly comfortable. A great way to mark it as your own, the backpack comes in a variety of different colors, with the blue and orange standing out as the most visible. The durable material it is constructed from resists stains and tears, and can be sewn back together for quick repairs if necessary. 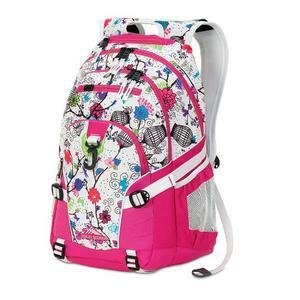 For the average hiker or the extreme adventurer, this back is a good choice no matter what you do. Is it Made for You? I love travelling. That’s how I keep my brain healthy (according to studies). But even between myself and my best travel buddy, we don’t usually carry the same backpack when we set out travelling. Why? Simple. I believe everyone of us is unique. Even things like personal grooming (shaving kit etc) can be so different. This is why even if I tell you High Sierra Sentinel 65 has been the best backpack I ever owned, you might not think likewise. I can’t decide for you and it is never my intention to do so. But with all the pros and cons you’ve been exposed to, I believe you now have the necessary information to decide for yourself. If you’re still unsure or simply would like to see more alternatives before deciding, be sure to check out our winners for the best travel backpacks. Find out which backpack models make it to our elite list. 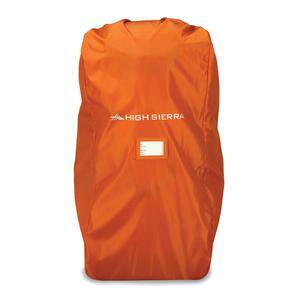 Looking for High Sierra Backpacks? 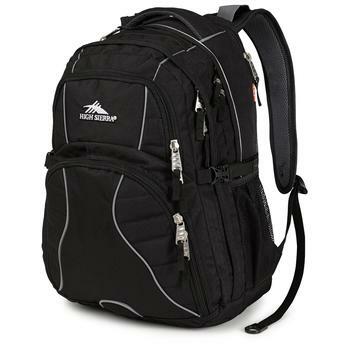 Here is Their Best-Seller List Why You Should Pick High Sierra Swerve as Your Next Backpack High Sierra Loop Backpacks are So Popular. But Why?